There are 6 fun center activities included in this package! 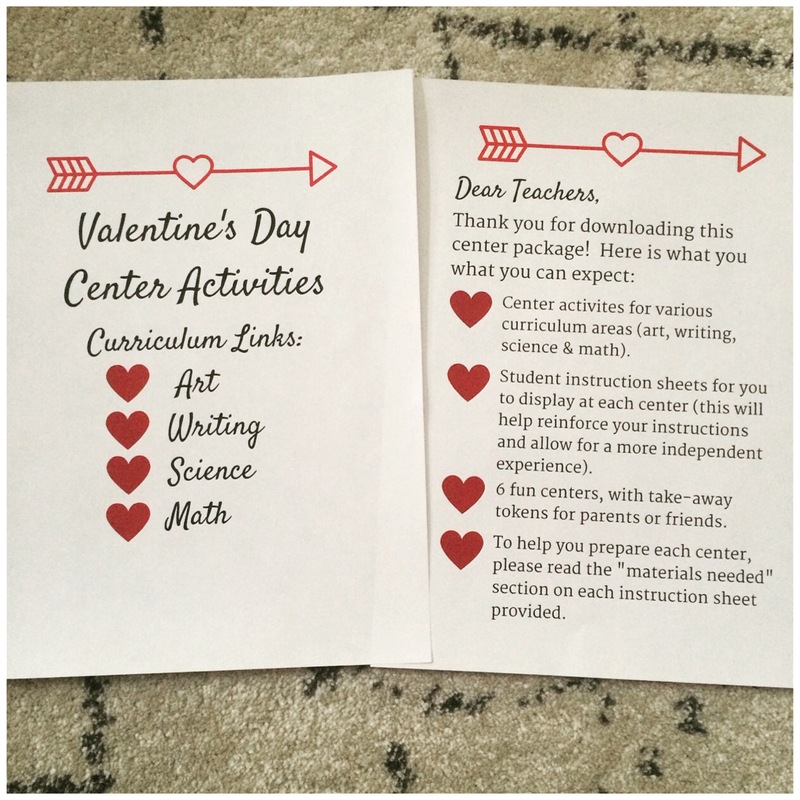 Each center activity comes with an instructions page, so that students can have a reference point when working on their activity. 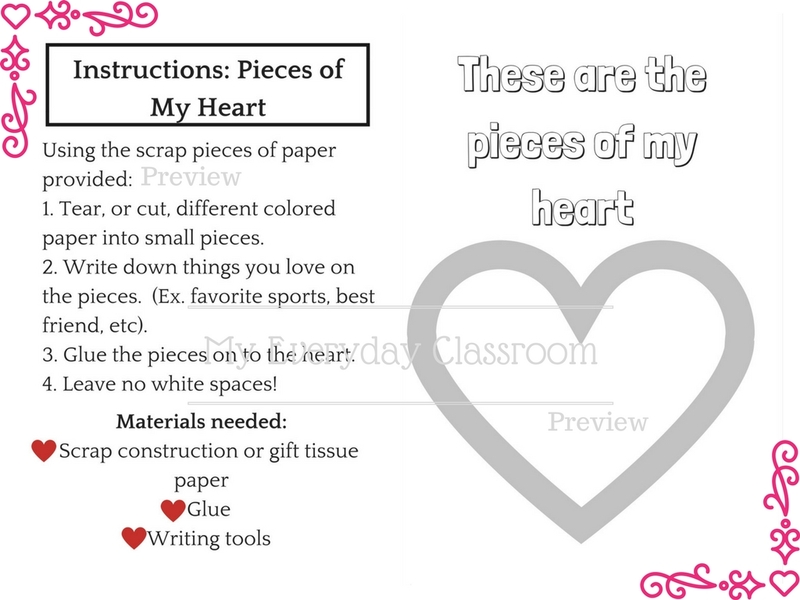 This activity gets students creating mosaic art! They simply tear or cut construction or gift tissue paper, and label each piece with things they love. It could be pizza, their teachers, a sport or hobby. Anything that they feel takes up a spot in their heart. These would make for a great bulletin board display! 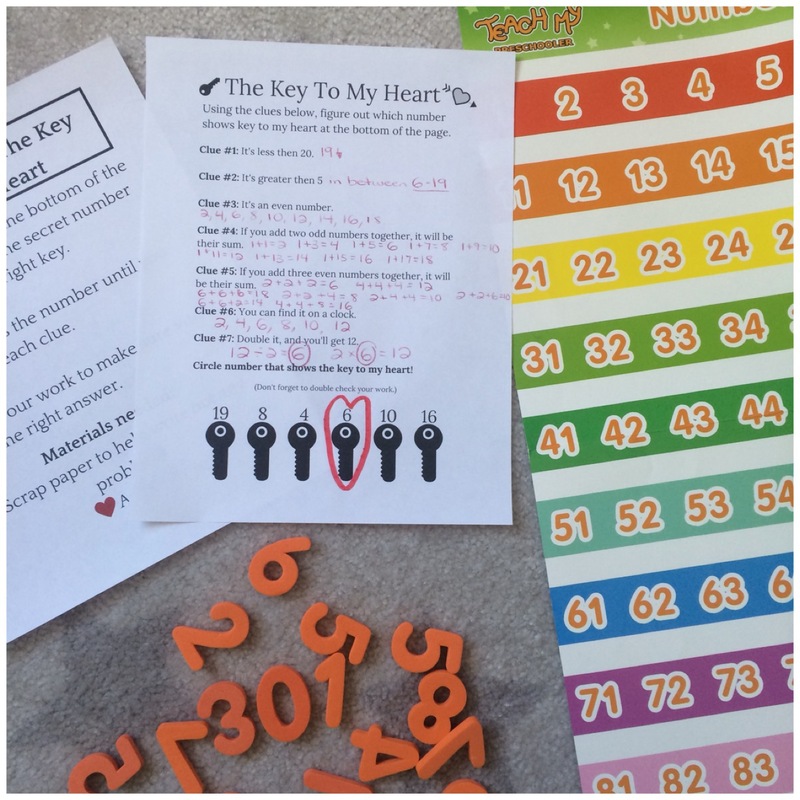 Students will need their detective skills for this math activity. 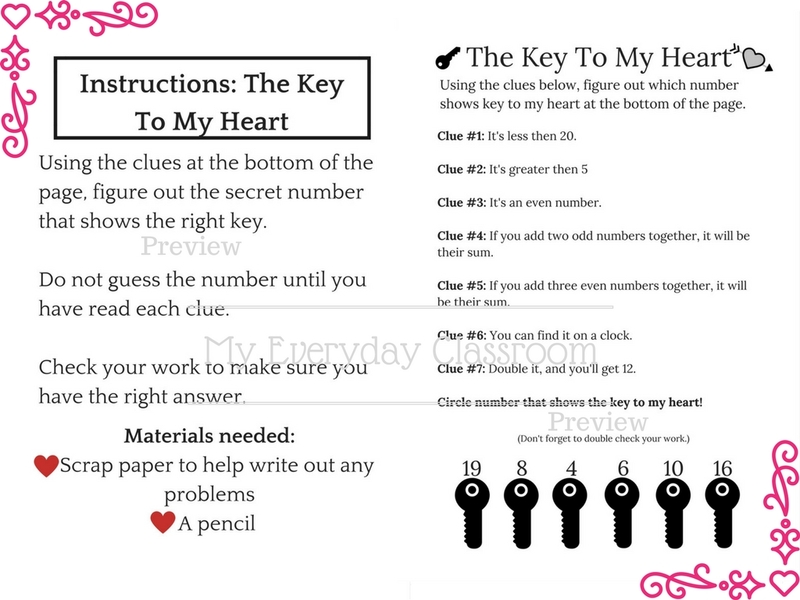 They are given a series of clues and need to figure out with number corresponds to the key to their teacher’s heart. This is a straight forward activity, which is meant to be light and fun spirited. 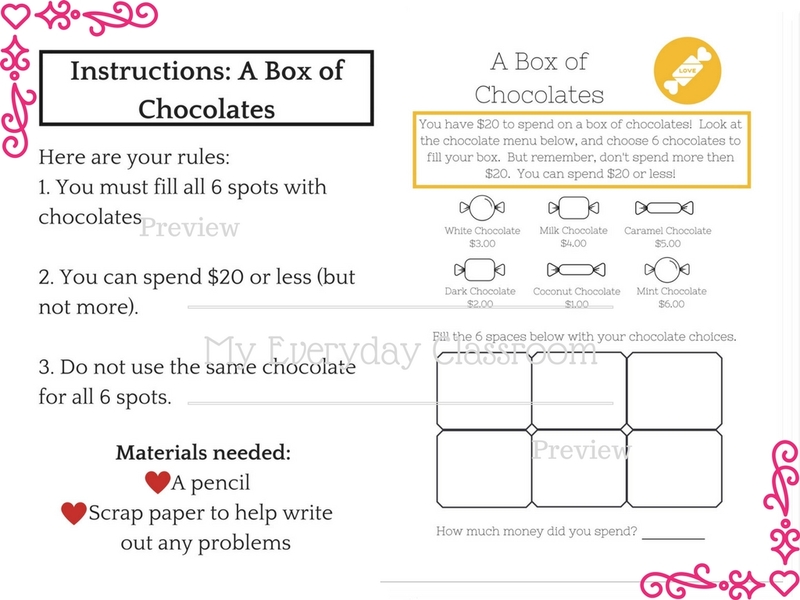 For this activity, the more manipulatives you provide, the better off your students will be! 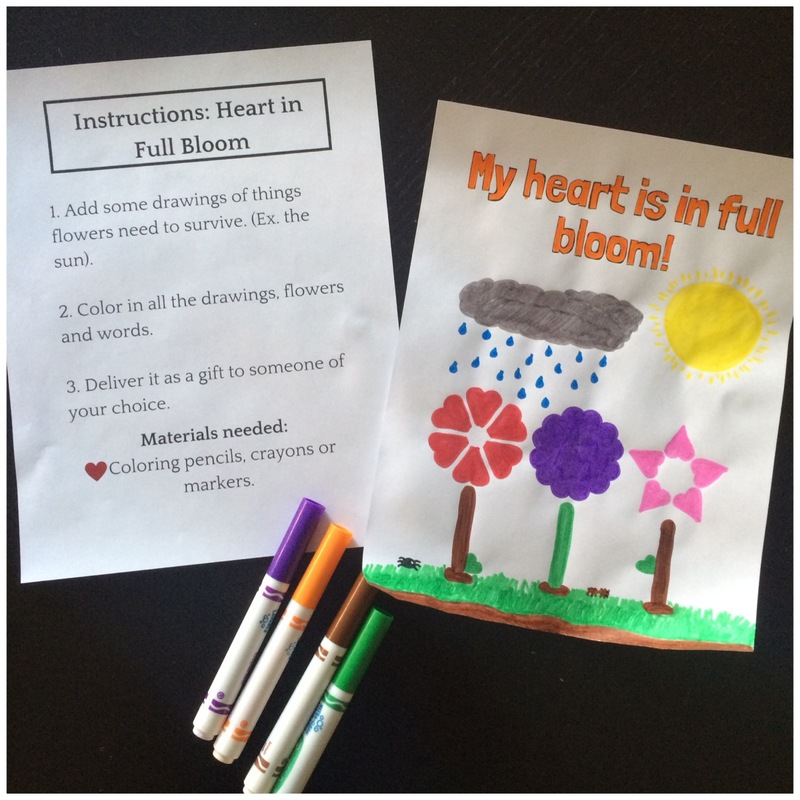 This activity integrates art and science. 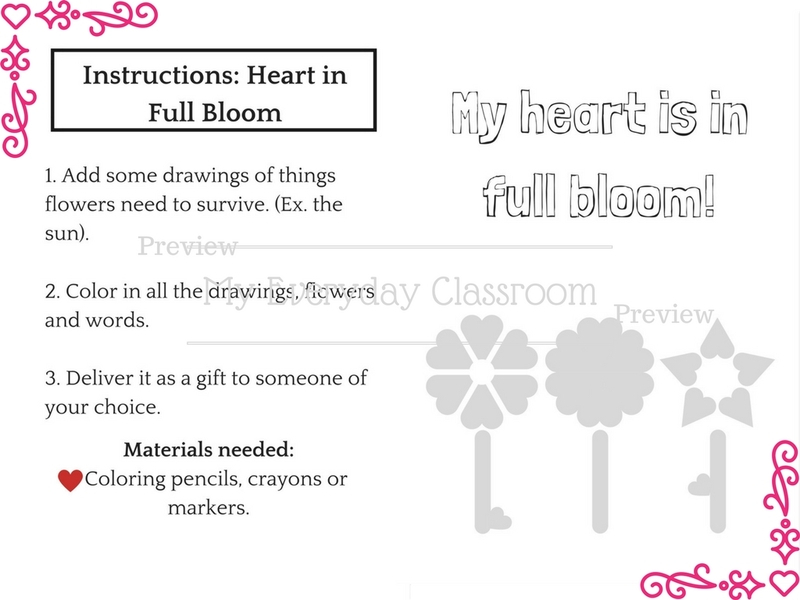 Students are asked to add drawings of things they think flowers need to survive (soil, sun, rain/water, etc). Then they color it all in! Notice the flowers are all made of hearts <3. Markers work best for this one! 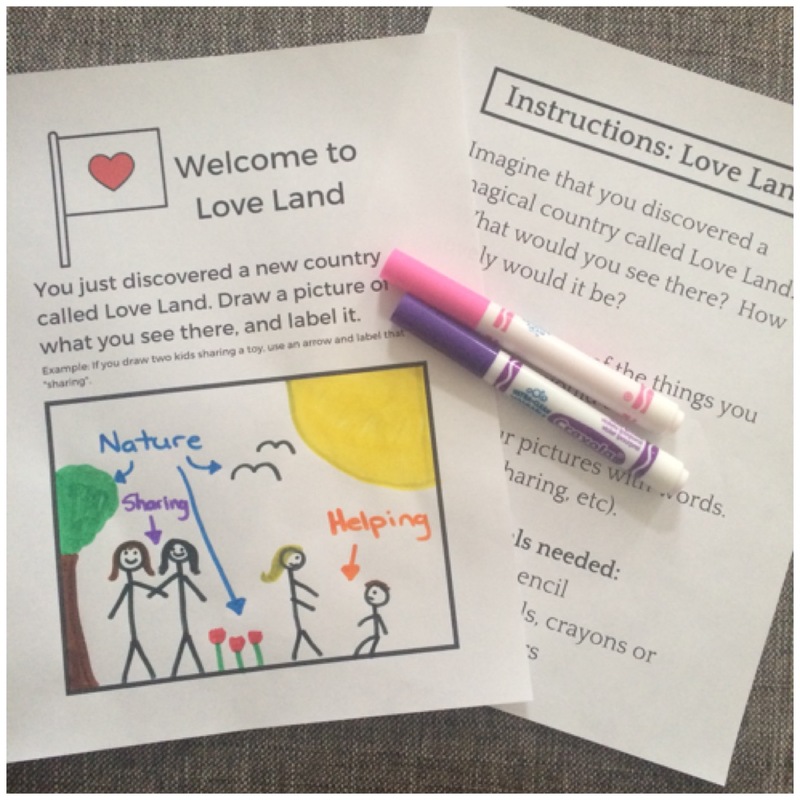 This activity might just be my favorite! 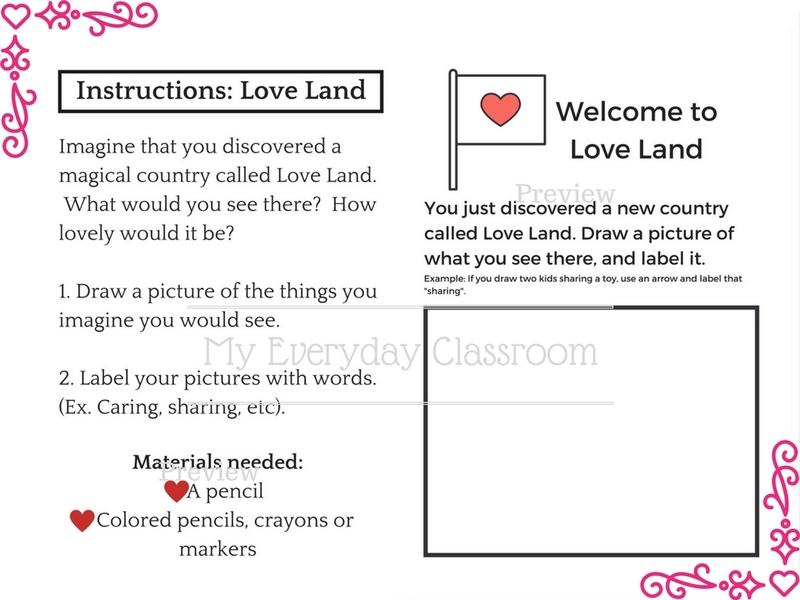 Students are asked to envision a newly discovered country called Love Land. Their job is to create a scene from the country and label exactly what is going on. I feel like some of these submissions will be just too precious! 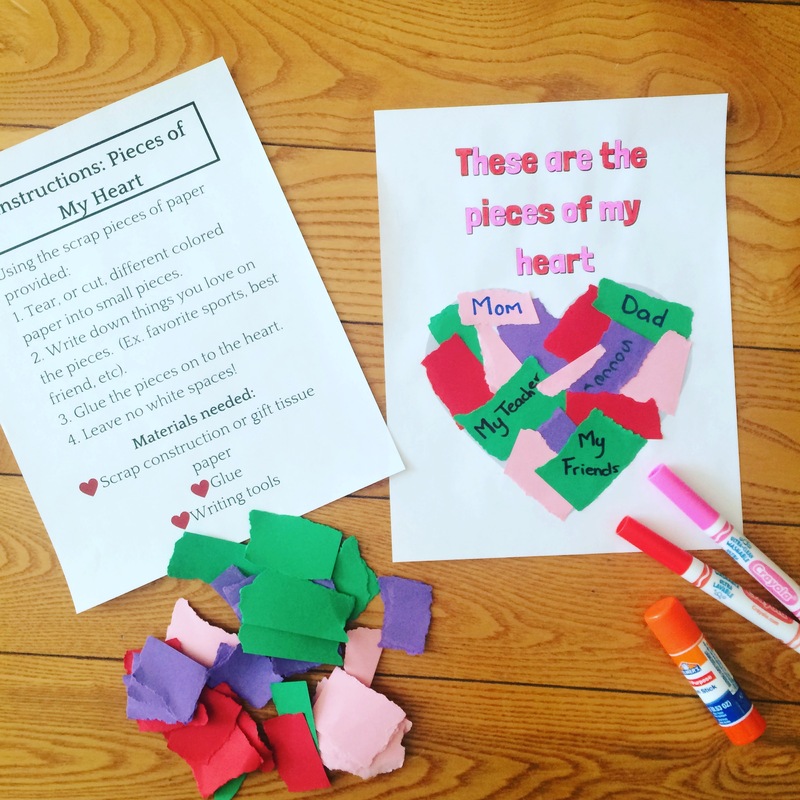 This activity is a throwback to a traditional Valentine’s Day love letter. 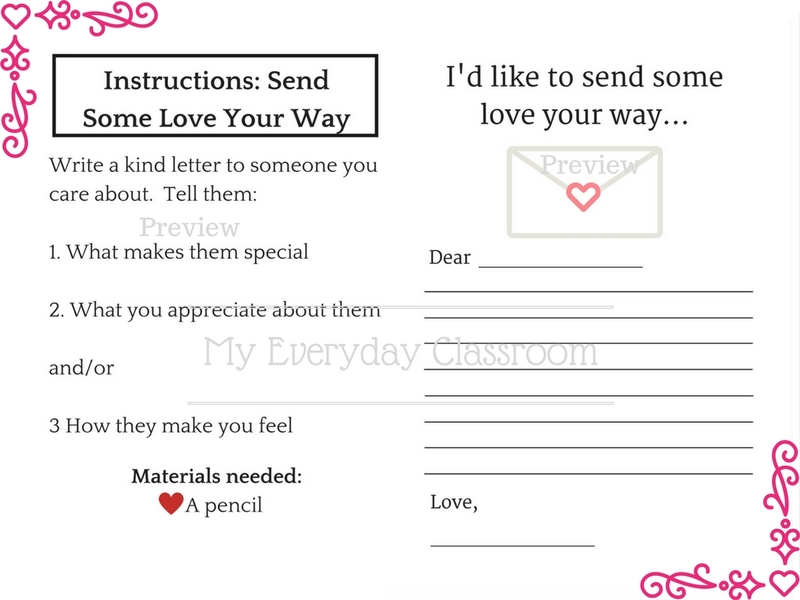 Students select someone who they care about, and write them a letter of admiration. For extra good ol’ fashioned traditions, have students hand deliver the letters! 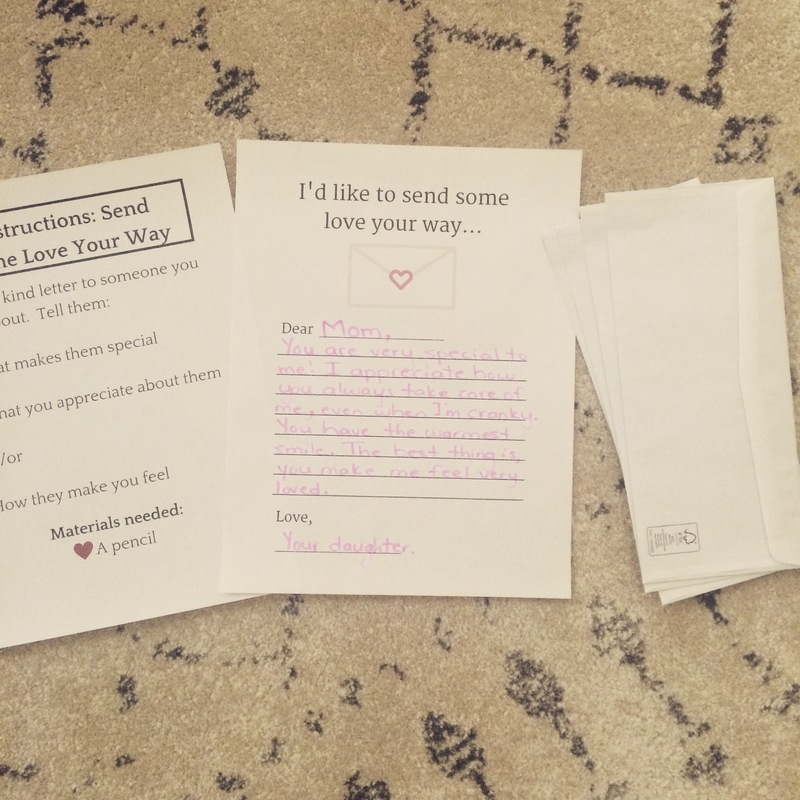 Encourage students to deliver their hand-written letters to their intended audience. 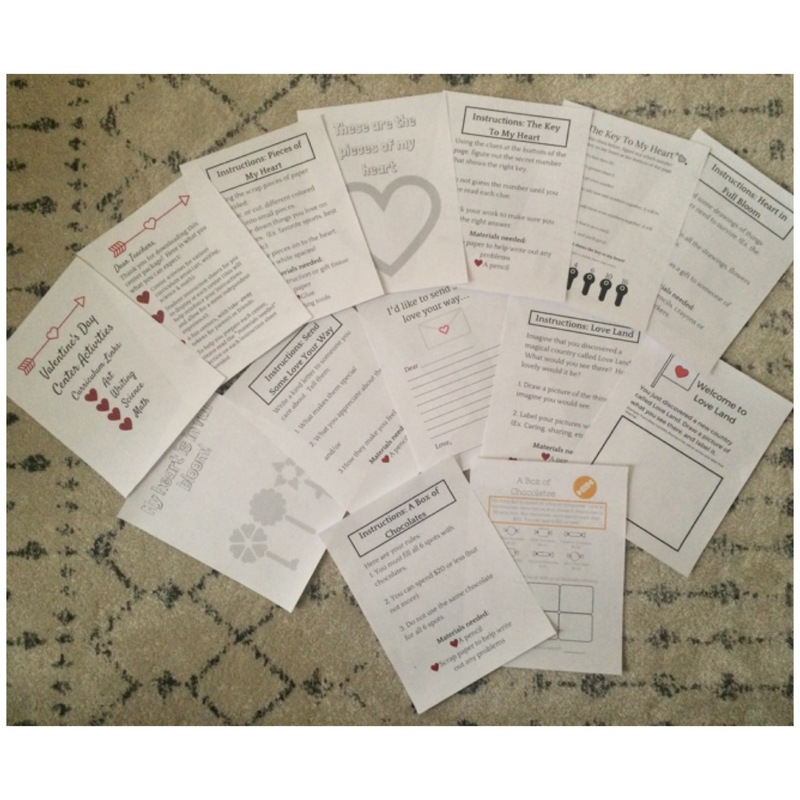 It’s classic to receive a box of chocolates on Valentine’s day, and this activity celebrates that. 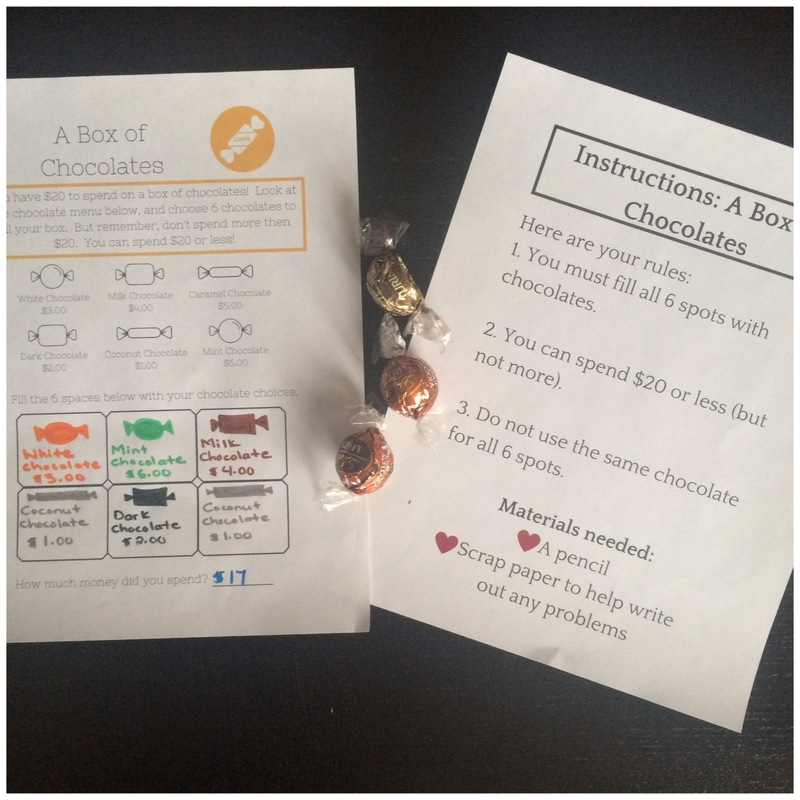 In this math center, students are asked to fill 6 spots in a box of chocolate with chocolates of various prices. They only have $20 though, so they need to make sure they don’t go over their price limit.